with our memorable 1-day and half-day excursion trips organized from Bol, Brela and Tučepi. The trips cover some of the most popular natural attractions in Croatia of beautiful scenery. Due to its excellent transport connections, guests who visit Tučepi can choose from a number of different excursions. The famous Marian shrine and the Apparition Hill is approximately one hundred kilometres away from Tučepi. Worshippers from all over the world find their peace at this shrine. This world famous destination breaks all records of visits, and the magnificent architecture of the Old City, the heart of the ancient city-republic, is breathtaking. Walk around the city walls, try the local caramel cake called Dubrovacka rozata and join the many guests who have visited this city. The second largest city in Croatia was the residence of the Roman emperor Diocletian, and is the present centre of Dalmatia. 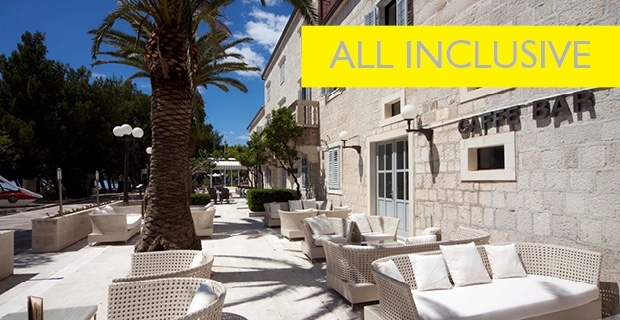 Split simply seduces its visitors with its charm. All who have visited the city have been impressed by the ancient Roman architecture and the Cathedral of St Duje that offers an incredible view. Diocletian’s Palace has been on the UNESCO’s list of cultural heritage items. The architecture of this town is considered the best preserved architecture in the whole of Central Europe. Its numerous art collections and narrow rectangular streets attract many tourists, while buildings of religious significance, like the famous Trogir Cathedral, reveal Trogir’s rich history. The portal of the Trogir Cathedral was built by Master Radovan, the famous artist from the early medieval period. Trogir is protected by UNESCO. Mostar is located in the neighbouring country of Bosnia and Herzegovina, and was named after ancient bridge keepers. The bridge that connects the two banks of the Neretva river is Mostar’s main distinctive feature. Mostar is considered the most beautiful town in Bosnia and Herzegovina, and since 2005, the bridge and the old city core have been listed among UNESCO-protected monuments. Day trips to the nearby Dalmatian islands - Hvar, Brač, Korčula or Vis - are an absolute must among tourists. Each island is special and tells its own story or storija, as the locals would put it, and it is up to you to discover it. Biokovo Nature Park is the crown of the Makarska Riviera where Tučepi is located. Biokovo Mountain is a must on the itinerary of lovers of fresh air and nature, and the view from the top, the 1762 m high peak of St George, extends to Italy on a fine day. Guests in search of adrenalin fun should definitely include Biokovo Mountain on their list of things to do. Nearby Makarska was also built in ancient Roman architectural style with rectangular streets. Today, it is especially popular among younger tourists who are impressed by the town’s night life options. During the day, it is also visited by tourists who have the opportunity to see the region’s largest malacological collection, while Makarska’s palm-lined waterfront is breathtaking.